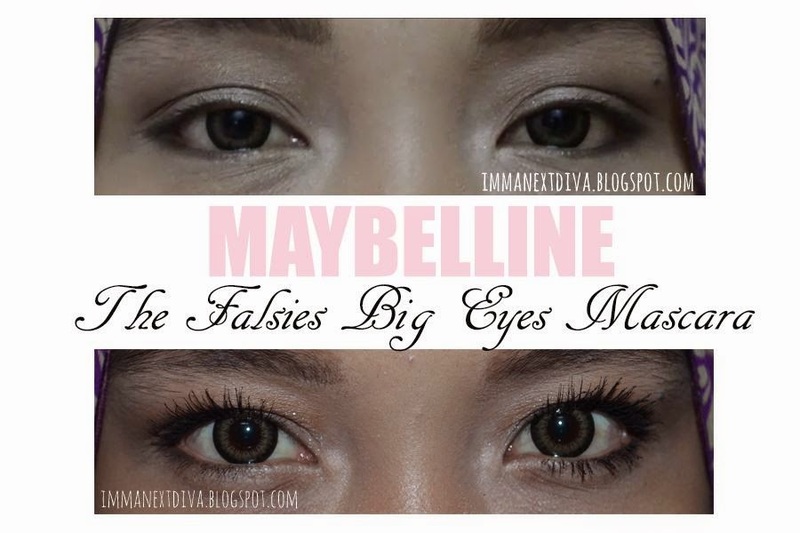 Today, I'm doing the comparison between two awesome mascara by Maybelline which is popular and most-raved The False Lash mascara or The Falsies and the new mascara in the market by Maybelline as well which is the Big Eyes Mascara. The False Lash is one of my favorite mascaras ever. It is the only mascara that people thought I'm wearing the real false lashes. It makes my lashes super long, separated and thick! The only major problem that I have right now with The False Lash mascara is that I am enjoying having spidery lashes for both of my upper and lower lashes. The False Lash mascara brush coats my upper lashes like nobody's business! But, I cannot get any coat from them on my lower lashes because the brush is so big and thick and was not intentionally designed for lower lashes, the product is barely coat or stick to my lower lashes. But, here comes the savior the Big Eyes Mascara which is designed especially for your upper and lower lashes with two different brushes that meant to be for each section of your lashes. The spiral-shaped brush for the upper lashes makes the application so much easier to coat your lashes. The size of the brush is just nice for my eyes as an Asian and the tip is so small that I can even reach the tiniest lashes of mine towards the inner corner of my eyes. The lower lashes brush is so fantastic. I wish other brands also bring this kind of brushes that made especially for your lower lashes. The bristles are super small and dense and make the application so much easier and fast. 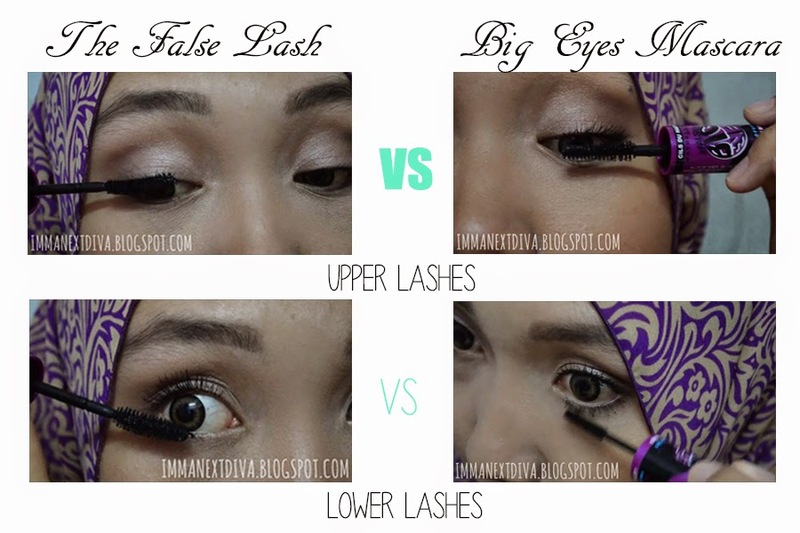 It separated my lower lashes easily and the color is so intense black makes my lashes look like 'it is there'. I absolutely in love with the Big Eyes mascara. It does not clump on me, the color is so intense and my eyes look open and bigger and of course I love how it makes my lower lashes standout. This mascara is totally a life changing product for me. I highly recommend to everybody who have super tiny and stubby lashes. So have you tried the Big Eyes Mascara? Do you love the dual ended brushes/mascara? Or is it just a gimmick? Leave your comment below. ~ Waterproof formulation makes it so difficult to remove. A good makeup remover is recommended.